Visit Thame Oxfordshire and the surrounding villages and stay in bandb, hotel or self catering cottage accommodation provided by BedPosts members. The town of Thame in Oxfordshire derives its name from its river. Thame is a market town that was old at the time of the Domesday Book. Its mile-long main street is so wide that a whole group of buildings, including the town hall, have been set down in the middle of the road. Every year this road is filled with stalls at the big autumn fair. The houses and cottages are like a Christmas card particularly the small gingerbread house near the top of the main street. Four of the inns date from the 15th century. One of them, The Bird Cage, is a gabled and timber-framed building, which is believed to have once been the local lock-up. Another inn, The Spread Eagle, was made famous by John Fothergill, a writer on country inns between the two World Wars, in “An Innkeeper's Diary”. Attractions: Agricultural Show in July each year; the Chiltern Hills; The Ridgeway Path; gardens at Waterperry; 13th Century Church of St Mary's. Thame Park House was built on the site of the demolished Cistercian abbey, incorporating parts of the original 12th century building. Oxford is 9 miles away and Aylesbury is 7. 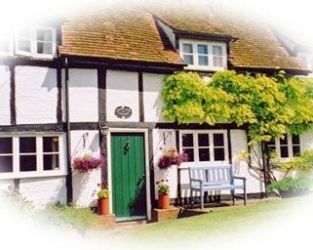 If you seek accommodation near Thame in Oxfordshire you have come to the website of a “club” of providers who offer affordable quality accommodation around UK in hotels, bed and breakfasts, guesthouses, inns, and restaurants plus self-catering cottages and apartments .